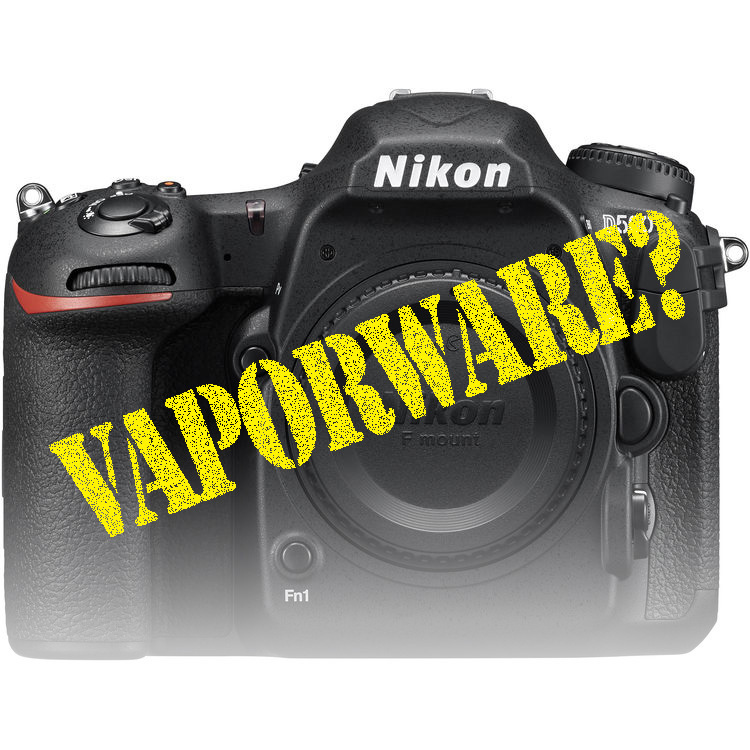 Vaporware… Is the DX format party officially over? Is DX format finally dead? I pre-ordered the Nikon D500 the day it was announced. I was informed today by my dealer that all Nikon D500 pre-orders have been cancelled. The long-awaited flagship DX body is apparently no more, after suffering from supply chain delays and production disruptions and what appears to be lack of interest in a body that just didn’t have the ISO performance of the new D5 FX flagship. This disappoints me… no, make that this MAKES MY BLOOD BOIL! Ever since I had a D300s, I was absolutely looking forward to using the new D500 at 10fps and ISO 51,200 with my Nikon 200-500mm f/5.6E VR lens, which in my estimation would be the best damn wildlife combo out there. In the meantime, I’ll just muddle through using my D810 and D750 bodies with crop mode and hope that pre-orders can convince Nikon to re-think their position on the role of DX format in professional photography. Update: At least one shop is still offering pre-orders for the Nikon D500 here. Perhaps we still have time to change Nikon’s opinion? I can't believe you fell for that! Wait wait, this cannot be right, there is a lot of buzz, demand and from the sampled sized of people I know at least 30 pre-orders. Please, I hope that this is only a rumor! Obviously, April fools. It’s still available for pre-order on the NikonUSA site.